Last week I wrote about the best ending shot ever in a movie. So this week it is time to talk about the best movie opening shot ever. Since I watched my first movie as a baby I have seen hundreds of movie openings. 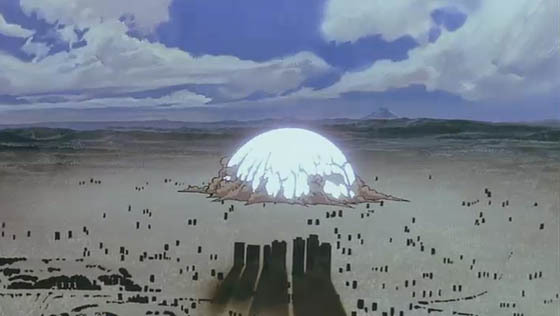 Most of the were mediocre and some were great but none of them can even slightly compare with the one they pulled off in Akira. Up to now I have watched hundreds of movies ending thousands ways with millions of last shots. But none of them can compare with the final shot of “2001 – A Space Odyssey” by Stanley Kubrick with the Watcher aka the baby. You know, I love this movie with its silence and patience which is even more of a patience today if you watch todays sci-fi with its action, hunting, creaturing and so on. Everything about this movie is somehow special and the ending is of course one of it. One day as I was watching this movie again it suddenly struck me, and I was ashamed for not noticing earlier: In the final shot the baby is watching Earth by slowly rotating. By this rotation its view slowly but surely shifts.